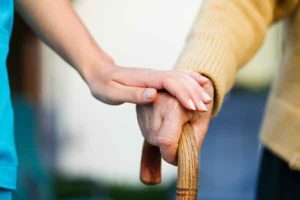 Moving your aging parent or vulnerable loved one into an assisted living facility in Colorado can be tough. You expect that they will receive the best level of care, but this is always true. In far too many cases, nursing homes fail to live up to their most basic legal responsibilities. Nursing home abuse and nursing home neglect are both serious problems in the United States. According to the National Center on Elder Abuse (NCEA), nearly 10 percent of nursing residents face some form of mistreatment. This could include physical abuse, emotional abuse, dangerous neglect, and sexual exploitation. If you believe that your loved one has been the victim of abuse or neglect, it is crucial that you take immediate action to protect them. Their health, safety, and psychological well being are at risk. Moving your aging parent or vulnerable loved one into an assisted living facility in Colorado can be tough. You expect that they will receive the best level of care, but this is always true. In far too many cases, nursing homes fail to live up to their most basic legal responsibilities. Nursing home abuse and nursing home neglect are both serious problems in the United States. The NCEA reports that nearly 10 percent of nursing residents face some form of mistreatment. This could include physical abuse, emotional abuse, dangerous neglect, and sexual exploitation. If you believe that your loved one has been the victim of abuse or neglect, it is crucial that you take immediate action to protect them. Their health, safety, and psychological well being are at risk. Under Colorado law, you must report nursing home abuse and to state officials. These officials will conduct a comprehensive investigation into any claims of elder abuse. It is important that you report the problem early. Do not let it persist. In Colorado, you can reach out to the Colorado Nursing Home Administrators Board or your local Adult Protective Services office. If you have any questions about how to get in touch with the appropriate office, you can also call the National Council on Aging (NCOA) at 1-800-677-1116. A representative will be able to connect you to a local office. There are some cases in which the state’s bureaucracy may be too slow to provide the immediate support and protection that your loved one needs. While you should always report nursing home abuse or neglect, please also remember that in an emergency situation you should never hesitate to call 911. If your vulnerable loved one is in danger in a nursing home, they need to get the immediate medical treatment and protection. Alerting the authorities of suspected nursing home abuse is an important way to get help. However, it is just that: the first step. To hold the nursing home liable for their misconduct, you should seek guidance from a lawyer. It’s important to find someone experienced in these types of cases. Your lawyer will be able to review your case and explain all of your available options to you. Then, they can help initiate a civil claim. That way you can seek financial compensation for your loved one and your family. The Olson Law Firm takes pride in our ability to provide strong advocacy for victims of nursing home abuse and nursing home neglect. We will listen to your story and make sure that you have a voice so that you can get justice. The abuse needs to stop, we can’t allow it to happen again. Your family deserves full compensation. To get help now, please contact our law office for a free, fully confidential initial consultation.